I was in Denver over Labor Day weekend and had a chance to check out an amazing travel-centric exhibit at the Denver Art Museum. 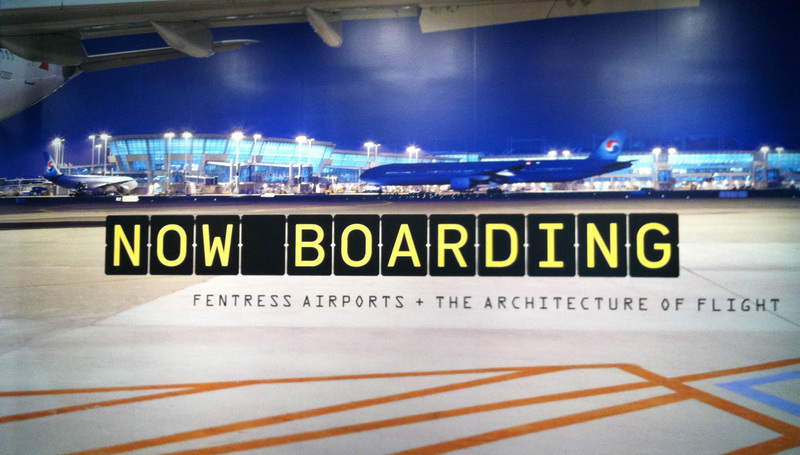 “Now Boarding” showcases the architecture of flight through the lens of Denver-based Fentress Architects, the firm behind airport projects including Denver International Airport, South Korea’s Incheon International Airport, Seattle-Tacoma International Airport, Mineta San Jose International Airport, Raleigh-Durham International Airport and Los Angeles International Airport. 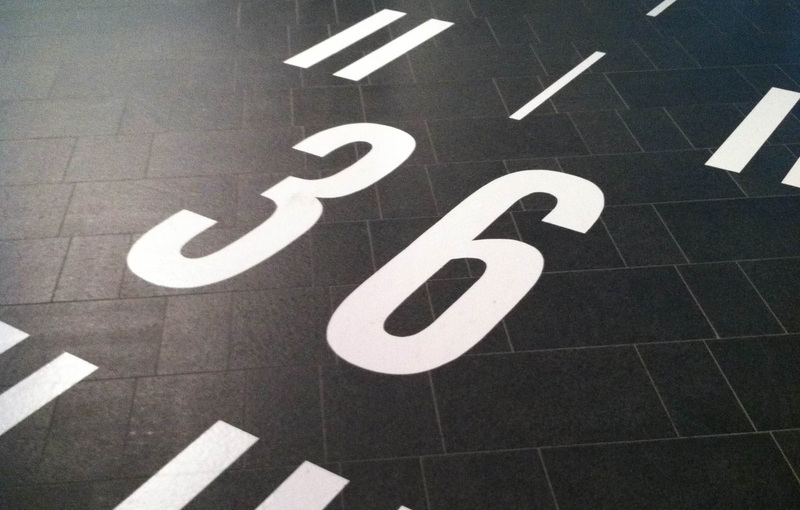 The exhibit begins by paying homage to the history of airports and commercial air travel. A rich timeline peppered with photos and artifacts chronicles industry “revolutions” like the advent of skybridges, moving sidewalks and metal detectors. The collection also includes treasures like vintage tickets, pins, in-flight servingware, stewardess outfits (yes, I said stewardess), magazine ads and other marketing materials. 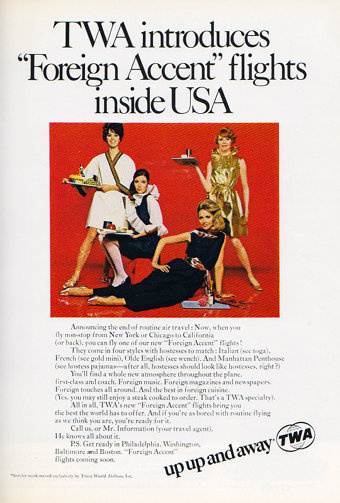 My favorite was a brochure for TWA “Foreign Accent” flights (circa 1968), which boasted international themed flights between New York or Chicago and California, complete with themed music, magazines, newspapers and food. The stewardesses, or “hostesses” wore paper dresses to correspond with each theme – Italian (toga), Olde English (wench), French (gold mini) and Manhattan Penthouse (pajamas), which often required the aid of staples and tape to keep the outfits on. As the exhibit progresses, visitors then get an inside look at each of the 6 Fentress airport projects, which are brought to life through an assortment of drawings, models and videos that depict the design process and challenges. The exhibit concludes by highlighting the winners of Fentress’ global student challenge to imagine the airport of the future, brining the journey full-circle. Anyone who has ever traveled will appreciate “Now Boarding” and the excitement, innovation and aspiration for flight that the exhibit captures. If you go: “Now Boarding” at the Denver Art Museum through October 7, 2012. Exhibit included in general museum admission. For more information, visit denverartmuseum.org.